On July 10, 2018, Chase and Alexa exchanged vows in a heartfelt and moving ceremony at Sloan Kettering Memorial Hospital in New York City. 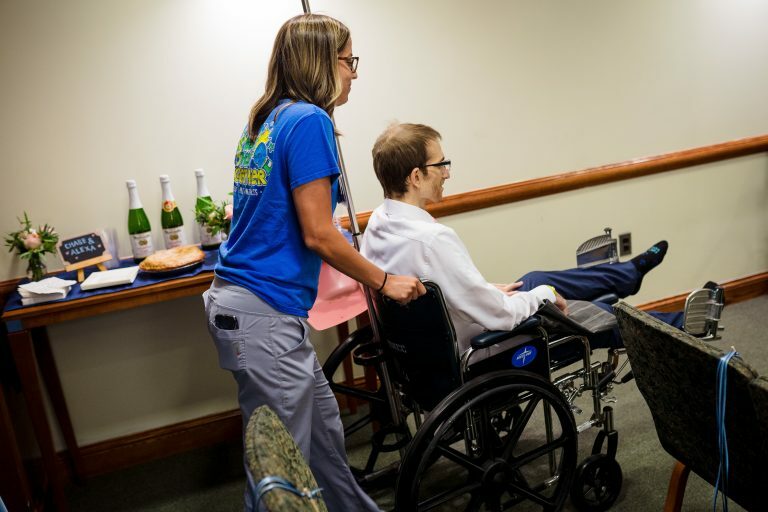 The wedding, which was witnessed by a small group of family and close friends, was supposed to take place at the end of July in Boston, near the couple’s hometown but had to be moved do to Chase’s rapidly declining health. 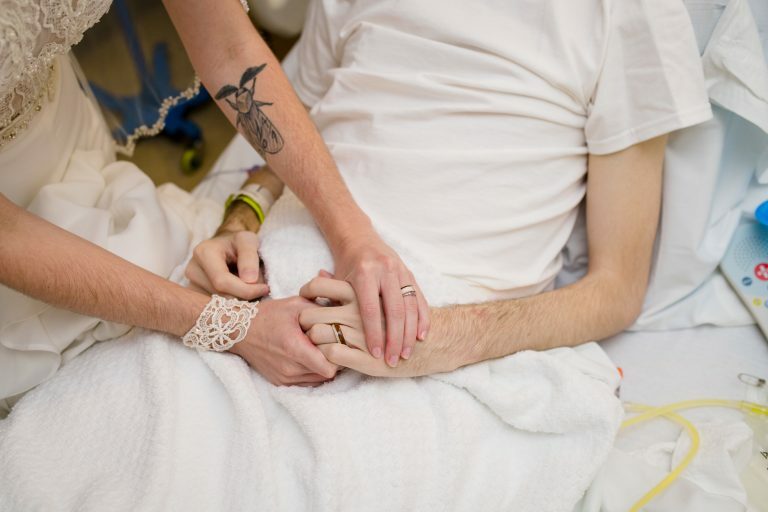 The groom suffers from a rare form of cancer called DSRCT and has undergone numerous rounds of experimental chemotherapy since his diagnosis last year. Despite a great amount of pain and discomfort, Chase was able to stand during the entire wedding ceremony. His bride was radiant in a beautiful gown, generously donated by Gabriella New York, and his smile upon seeing her walk down the aisle was everything. Chase was too tired to enjoy the decadent wedding cake and apple pie (a personal favorite of his) following the wedding, but he and Alexa happily feasted on it the following day. On July 19th 2018, Karen and Rich stood before family and friends on the grounds of the breathtaking Cedar Lake Estates and recommitted their lives to one another. The couple has been happily married for 24 years and was thrilled to renew their vows in the presence of their loved ones. Karen and Rich have a love story that most people dream about. They met in high school, were married right out of college – and are still crazy about each other. For years they had been dreaming about traveling once their youngest child was off to college. Just one month after she left, however, Karen began having some unexplained pains in her body. She was incredibly pro-active and demanded that her doctors run some tests. Not long after, she received the news that all women dread. Karen had been diagnosed with stage 4 ovarian cancer. She embarked upon an aggressive treatment program, which included a full hysterectomy and months of intense chemotherapy. Throughout it all, Rich has been her rock and has lovingly supported and cared for her. Wish Upon a Wedding was touched by Karen and Rich’s beautiful love story and was honored to grant this wish for them. The day was straight out of a magazine. From the gorgeous scenery to the farm-to-table feast and the outstanding live music, Karen and Rich were treated to a day free from the worry of cancer. The couple mingled with friends and happily danced the night away. We owe a huge thank you to the many wish granters who worked hard to make Karen and Rich’s day extra special. We are so grateful – thanks to you all!